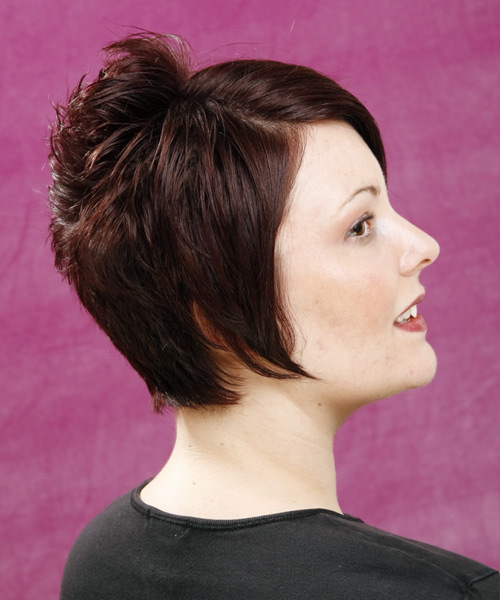 This is a short funky hairdo with different lengths to add contrast and shape to the style. 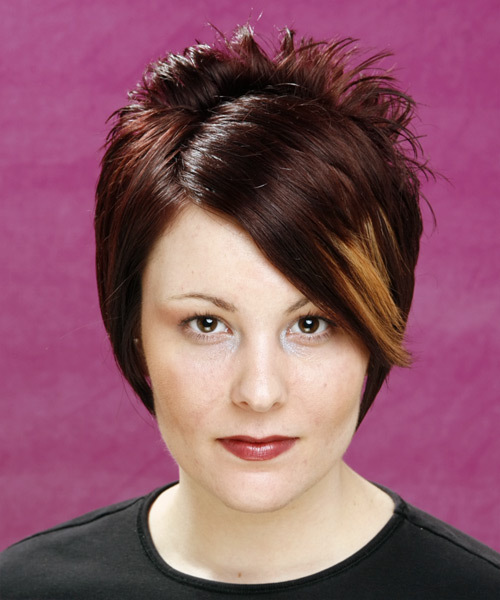 This style features front layers which can be worn as long bangs swept to the side. The Back: has been cut short and close to the head for a flat finish. The Sides: the layers have been sliced to maintain a wispy look with the length cut down to angle towards the jaw line while still blending up to the shorter textured layers through the top. Using products with strong hold will help to keep this style in place.